Gold Fever keeps sweeping the state! The Imperial Valley Desert Museum in Ocotillo is currently hosting Gold Fever. They have done a fantastic job adding to the exhibit. In fact, in a recent blog post they succinctly outline there process. The Gold Fever traveling exhibit at The Imperial Valley Desert Museum in Ocotillo. 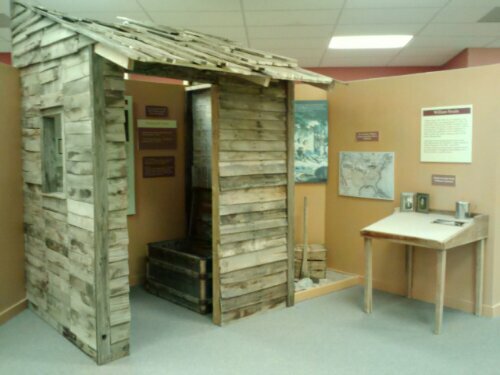 This is a wonderful example of what can be done with our traveling exhibits!